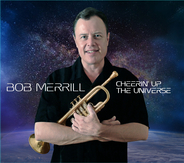 Accurate is proud to feature trumpeter and vocalist Bob Merrill. Merrill, who studied as a teenager with Red Rodney and later with Jaki Byard, has had a long career in the music business. In the early 1980s he presented and often accompanied an endless succession of jazz giants at Harvard's Hasty Pudding Club in Cambridge MA, ranging from Illinois Jacquet, Philly Joe Jones and Tommy Flanagan to Don Cherry and Lester Bowie. In 1986 Merrill returned to his native NYC and opened Hip Pocket Recording Studio, recording artists such as Patti LaBelle, Sting and Art Garfunkel. During this time he produced three CDs for his father-in-law, legendary pianist Joe Bushkin. Alongside his offstage activities, Merrill has always remained a top caliber trumpet player whose feel for swing-to-bop territory is as joyful and natural as anyone playing today. 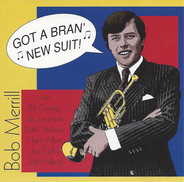 Plus - in the tradition of jazz trumpeters since Pops himself - Merrill sings. The impeccable time and phrasing that guide his horn playing shine through in his smooth, soulful baritone voice as well. 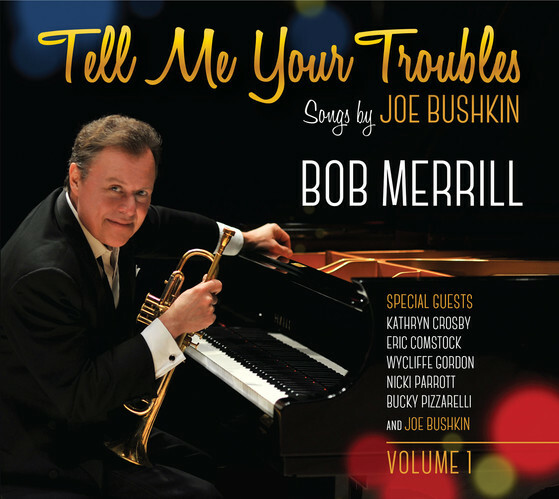 Trumpeter Bob Merrill, who apprenticed with Bushkin toward the end of the pianist’s life, honors the elder composer’s subtle but substantial legacy on Tell Me Your Troubles, an homage crafted with heartfelt reverence and respect. Aside from his own expressive trumpet playing and singing, Merrill has enlisted a roster of talented contemporaries to provide wattage to the filaments of Bushkin’s work. Vocalist Kathryn Crosby—Bing’s second wife—provides graceful vocals on “Hot Time In The Town Of Berlin,” while guitarist Bucky Pizzarelli and trombonist Wycliffe Gordon trade jabs on “Boogie Woogie Blue Plate” and “Goin’ Back To Storyville.” And courtesy of an archived recording, Bushkin himself appears on piano on “Oh! Look At Me Now.” It’s one of many enlightening throwbacks on this nostalgic disc. Trumpeter/vocalist Merrill assembles stellar cast of musicians he has worked with in one setting or another since his teen years to play songs that have meant a lot to him over his decades in jazz. John Medeski brings his unique juju to the keyboards, Drew Zingg (w Boz Skaggs, Steely Dan) plays guitar, Nicki Parrott and George Schuller contribute bass and drums. Also Accurate Records honcho Russ Gershon appears on saxes and his Either/Orchestra bandmate Vicente Lebron mans the percussion. The incomparable Roswell Rudd adds his trombone on one track and Matthew Fries plays piano on several tracks. The wide-rangeing program takes us from Bachrach to Pharoah Sanders, with stops for Randy Newman, Donald Fagen, Stevie Wonder, Pherell Williams and more. This reissue of 1996 recording date features Merrill fronting a big band and a combo for a set of standards.The impeccable combo includes tenor man Harry Allen, underappreciated great Joe Cohn on guitar, Jeremy Kahn on piano, the late Dennis Irwin on bass and Duffy Jackson at the drums. The big band, appearing on three selections, includes a very young Chris Botti in the trumpet section. Highlights include Joe Cohn's father Al Cohn's big band arrangement of his own "Nose Cone"; Harry Allen's superb bop-style arrangement of "Secret Love"; Merill's equally boppish take on the "Theme from 'Bewitched'"; and the soloing throughout, hard-swinging and elegant. 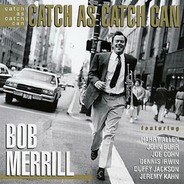 Merrill's 2003 recording keeps together the core of Harry Allen, Joe Cohn and Duffy Jackson, and brings in the wonderful Bill Charlap on piano and Jay Leonhardt at the bass. Howard Alden adds guitar to the title track and Mike LeDonne lays down some organ on two tracks, with John Allred playing trombone on several tracks. The program here includes Great American Songbook entrants like "Three Little Words" and "Just You, Just Me," but includes newer material by Dave Frishberg, Randy Newman and Jay Leonhardt, plus the iconic "Odd Couple Theme" by Neil Hefti. Both Catch and Bran' New Suit were originally released on Merrill's own Boomerang label, but these reissues on Accurate represent their first wide distribution and first digital availability. For his next release, Merrill assembled stellar cast of musicians he has worked with in one setting or another since his teen years to play songs that have meant a lot to him over his decades in jazz. John Medeski brings his unique juju to the keyboards, Drew Zingg (w Boz Skaggs, Steely Dan) plays guitar, Nicki Parrott and George Schuller contribute bass and drums. Also Accurate Records honcho Russ Gershon appears on saxes and his Either/Orchestra bandmate Vicente Lebron mans the percussion. The incomparable Roswell Rudd adds his trombone on one track and Matthew Fries plays piano on several tracks.